The European currency spent the previous day in the narrow range and closed against the dollar with a decrease. We expect the November Italy industrial production report as well as the December Germany wholesale prices dynamics reports. The wholesale price index can show + 0.2% m/m vs. -0.7% m/m in November. Subjected to the sale, the euro with the dollar made a quite sluggish recovery attempt, limited by the resistance near 1.1880-1.1900 and fell to the support near 1.1740-1.1760. Thus, the pair is in the consolidation phase after falling to the new low, trading in the formed range. The support levels are 1.1740-1.1760, and the resistance levels are 1.1820-1.1840. Obviously, the range breakthrough will indicate the further movement. The pair growth after the strong US employment report gave the bulls hope for a recovery, but the inability to develop the upward dynamics above 1.1880-1.1900 indicates the sellers’ unwillingness for active profit fixation. It is possible that the pair will remain in range till the US inflation release. The British pound closed the session neutrally against the dollar. It is expected that the annual inflation slowed and the December consumer price index (CPI) will show 0.6% y/y vs. 1.0% y/y in November. The annual dynamics is expected in the similar trend – the retail price index + 1.6% y/y vs. + 2.0% y/y in November as well as the producer price index is expected to decline immediately by 12.4% y/y after -8.8% y/y. 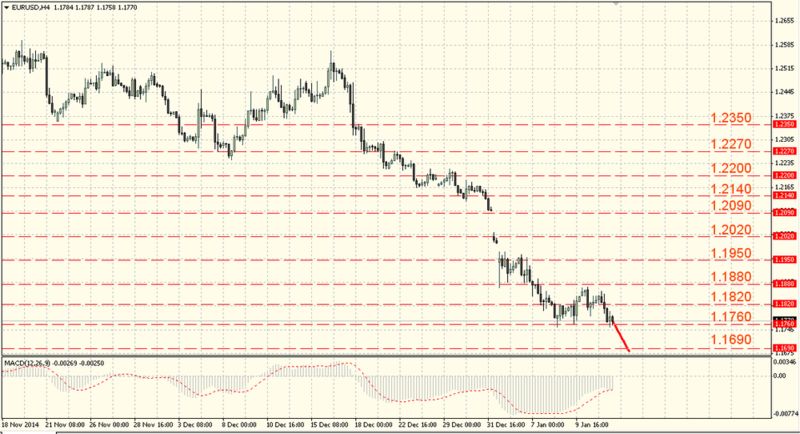 The pair GBP/USD entered the consolidation phase after the fall and it is now trading in the range. 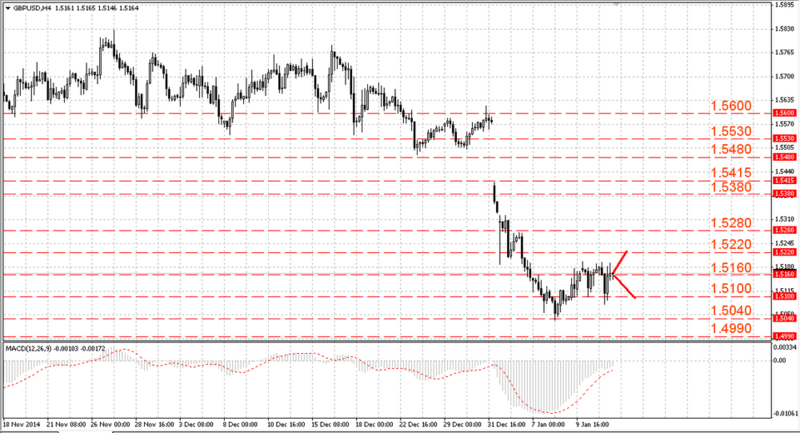 Recovery attempts are limited by the resistance near 1.5160-1.5180 the pair is sold off near the support around 1.5080-1.5100. Lack of the bulls’ enthusiasm near the 52nd figure indicates that the bears will continue to monitor the situation that preserves the level of 1.5020-1.5040 testing risks and if this level is broken through – 1.4970-1.4990. The strong growth above 1.5220-1.5240 will signal about the pound willingness to develop the upward correction and the immediate bulls target will be the resistance around 1.5280-1.5300. 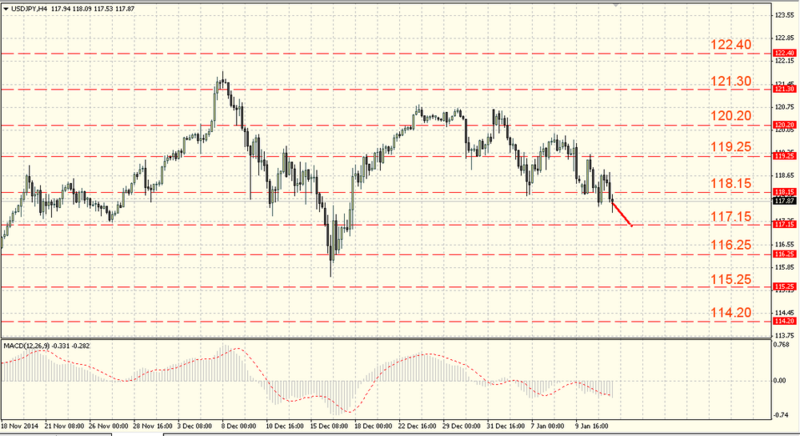 The Japanese yen was trading against the US dollar in different directions and closed at the opening prices. The yen decreased against the dollar amid the obvious changes in investors’ sentiments caused by the emergence of the stronger-than-expected December’s China foreign trade data and the Japan trade balance which showed a lower deficit than it was forecasted that could improve the market attitude towards the risk. The pair growth to the resistance near 119.25-119.45 attracted the interest for sale that brought it back to the support around 117.95-118.15. The pair broke through this support at the end of the trades. The lowering peaks indicate the possible continued dollar decline, although the angle of the resistance descending is not conclusive. A rise above 119.25-119.45 will return optimism to the bulls.